The indoor seedlings have had their ups and downs. With some carelessness on my part, I ruined most of my first batch of very promising tomatoes and am now trying to make up for lost time with a second seeding. But the peppers all look pretty fantastic—and the eggplant only so-so. We still have some time, though. It’s nice to look out at the garden with everything clean and orderly, everything small and just beginning. But the chaos is edging in starting with the strawberries. They are so vibrant, I just let them do their thing. Outdoors the peas are looking good, the arugula, the kale, the stirfry greens. I need to give the rat-tailed radishes another shot and maybe the lollo lettuce. 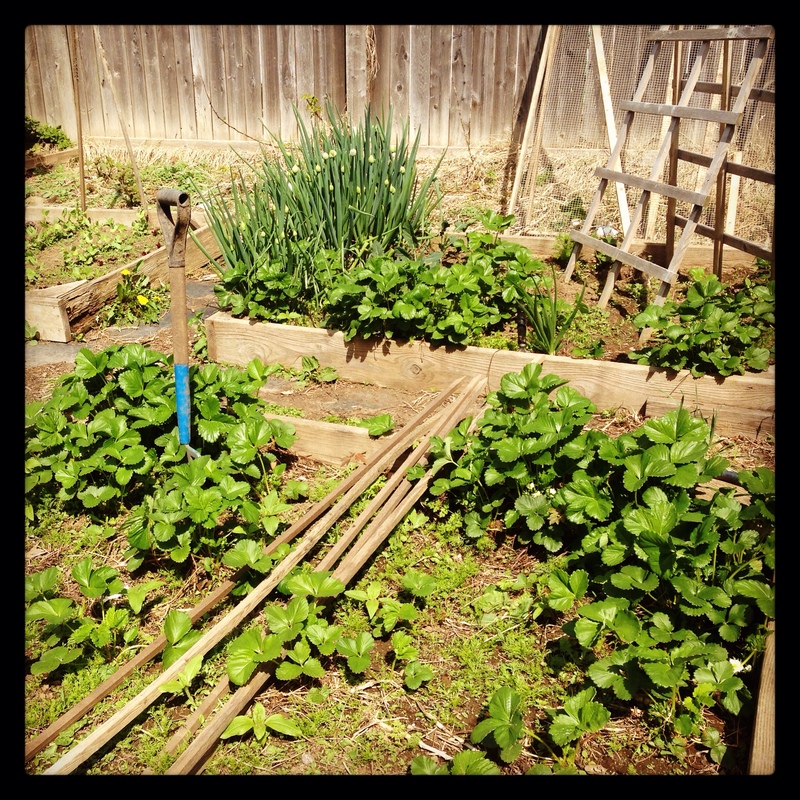 At the community garden, the radishes and greens are looking good. The beets and carrots are slooooooowly peeking up. Otherwise we are in the home stretch (of seeding, indoors), I just popped the summer and winter squash seeds in last night. Only melons left. This entry was posted in mini'stead, plants+garden. Bookmark the permalink.